Electric Milk Frother And Heater Just $19.99! Down From $60! You are here: Home / Great Deals / Amazon Deals / Electric Milk Frother And Heater Just $19.99! Down From $60! Don’t miss this amazing deal from Amazon! Get this Gourmia Cordless Electric Milk Frother and Heater for just $19.99, down from $59.99 PLUS FREE shipping for Amazon Prime or orders $25 or more! 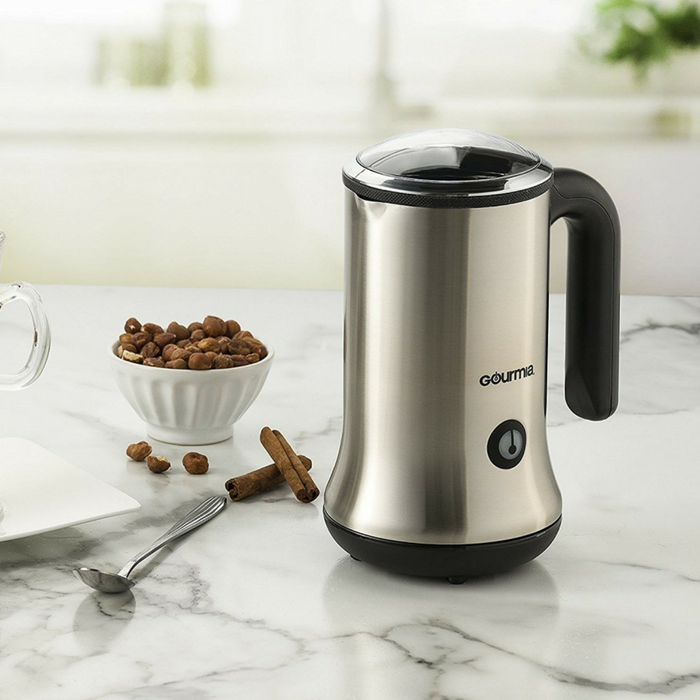 Recreate your favorite drinks from the cafe with the Gourmia Cordless Electric Milk Frother and Heater. With this revolutionary appliance, you’ll be creating comforting, artisanal beverages from your kitchen counter just like your favorite barista! This milk frother practically does the work for you with a set of state of the art features that will turn you from amateur to pro! 3 IN 1: Top off your steaming mug with either hot or cold freshly frothed foam or simply heat milk for a warm, velvety treat. ONE TOUCH: Touch once for hot froth, hold it down a bit longer for cold foam, and two taps for perfectly heated milk! EXTRA LARGE: Rotates 360º and lifts off base for free carrying and pouring convenience. 150 ml frothing capacity and 300 ml milk heating capacity. EASY CLEAN: Designed with a sleek stainless steel exterior, and easy clean nonstick interior. ETL CERTIFIED: Gourmia takes the quality of their products seriously. This product is ETL certified so you can be confident that you’re receiving a safe, efficient, high-quality appliance.